This brightly flavored Spanish-inspired sauce with a little kick is the perfect dip for French fries, vegetables, or pretty much anything else. This product gluten-free, vegan, and GMO-free. Founded by Alison Cayne, Haven's Kitchen was developed to educate people on how decisions around the food we purchase, eat, and make affect the environment, society, and our daily relationships. 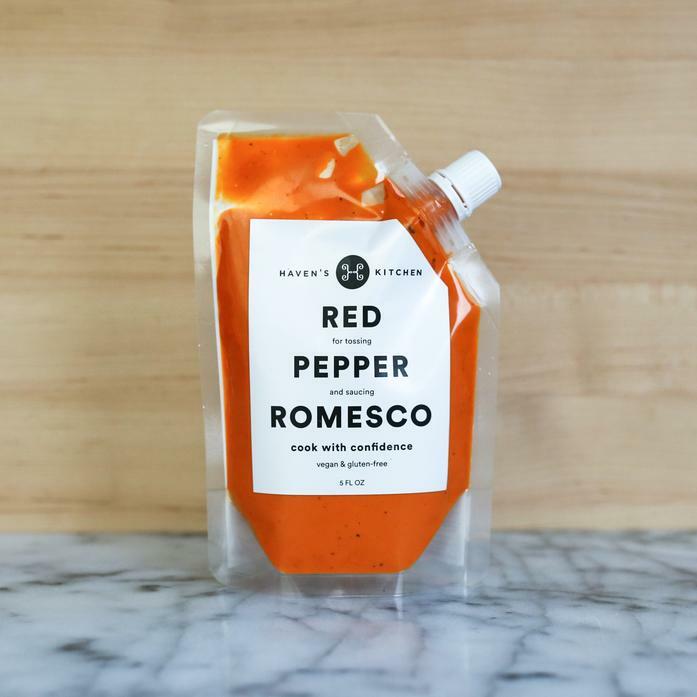 Originally a cooking school, Alison launched a line of hand-crafted sauces in order to share the Haven's Kitchen mission and flavors with many more people. Each order contains 1 package of red pepper romesco.